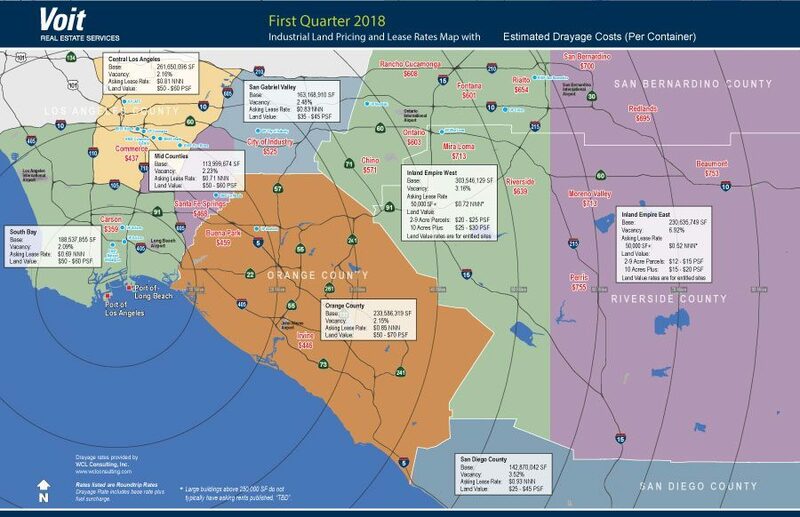 Industrial land pricing and lease rates map with estimated drayage costs (per container). CA BRE #01333376 ©2019 Voit Real Estate Services, Inc.
Real People. Real Solutions.® is a registered trademark of Voit Real Estate Services.